Now for the sciency bit! 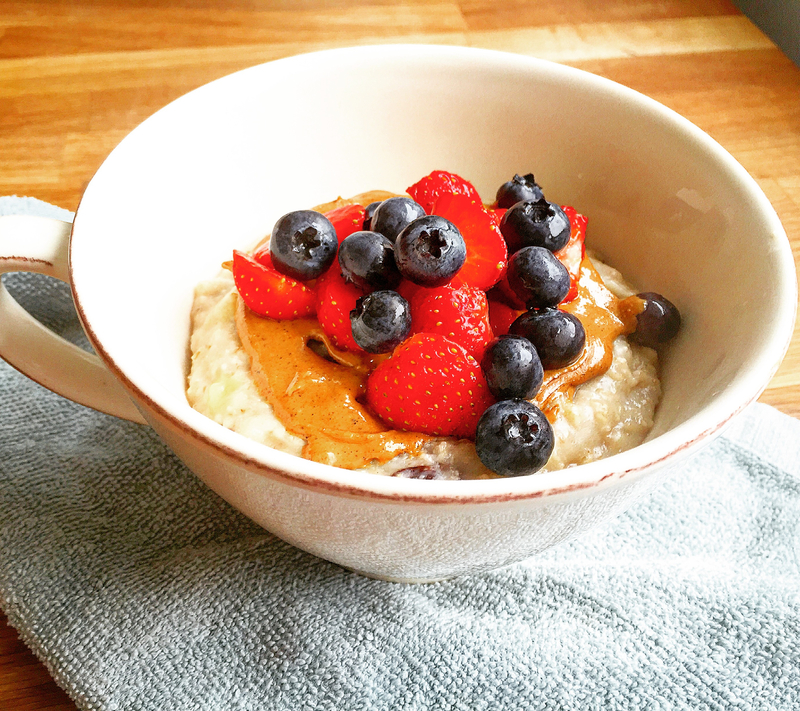 What makes this porridge so powerful? Well do you remember when you were small and your mom would insist that porridge was good for you? Guess what, she was right! As per usual! Porridge has the ability to boosts energy, protects skin, support weight loss, help to prevent diabetes, boosts heart health and reduces the chance of colon cancer. Way to go porridge! 😱 👏 AND that’s before you add any of the superfood toppings!! 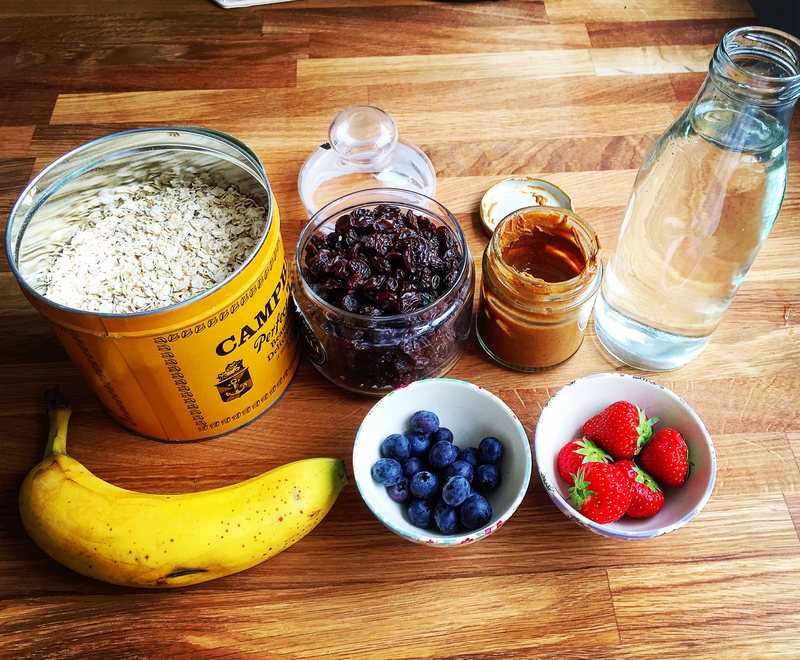 As always the toppings are optional but I would recommend keeping the nut butter in it as the fat stops your blood sugar levels from spiking which means it will keep you fuller for longer, with more energy and will be less likely to be stored as fat. Whatever fruit is in season. I love Blueberries, Raspberries, Strawberries and Blackberries. 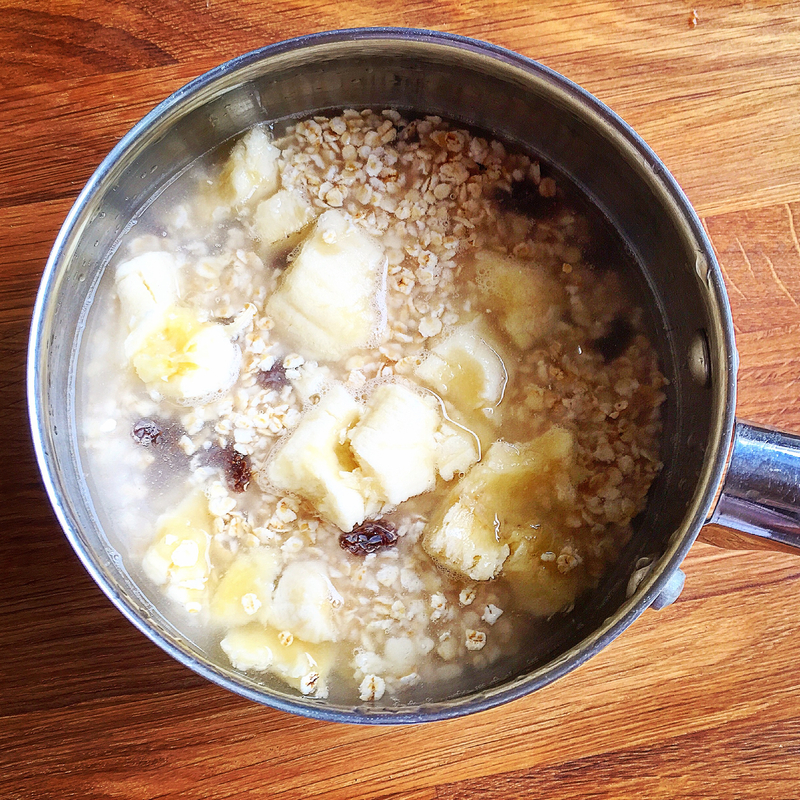 Place the water, oats, raisins, sunflower seeds into a saucepan, smush the banana with your fingertips into the mix. This gives the porridge its beautiful sweetness as it melts into the porridge when it cooks (also a great way of getting fruit into kiddies especially if they don’t like banana because you would never know it was there! You can also grate some apple in too). Ok lets get to it! Stick the sauce pan on the heat and stir the porridge should take approx. 3-4 minutes to cook, you’ll know when it’s ready because it’s thick and gloopy and the banana will have melted away. Tip: If you want to make the assembly time even faster you could have the ingredients in the saucepan soaking over night ready to go for the next day. Thats not a problem just up the amount of Nut Butter and add some coconut oil for added fats! you could also add some Protein powder if you wanted, I personally like hemp protein powder in mine especially after a work out! hope that helps! And do you have any slow cooker recipes?